O.C. 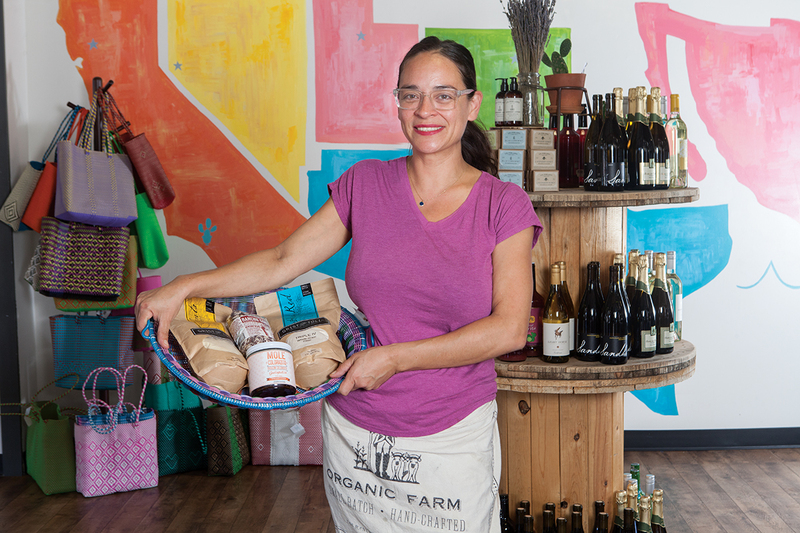 entrepreneur Delilah Snell opened her specialty store in Santa Ana’s 4th Street Market in June, and the inventory just keeps growing. Why does O.C. need an Alta Baja Market? To promote makers you won’t find at your local Mexican supermarket, specialty items like Rancho Gordo beans, local seasonal small-farm goods, woven baskets, and colorful Mexican ceramics. We also have items from Arizona, Texas, and New Mexico. I thought about little European grocery stores or mercados in Latin America. I thought about our travels. The border is so rich and full of flavors that really don’t have representation in Southern California. Tell us about the market’s cafe. We offer house-made breakfast tacos, sandwiches, empanadas, sweet or savory blue-corn waffles, frittatas, craft micheladas, fresh-fruit drinks, and more. What else do you stock? I like items from small businesses with unique back stories and limited distribution— the Poblano Hot Sauces we once drove to Tucson for or olive oil from Baja California made by Rancho Cortez. Yes. Wine and beer tastings, cooking classes, lectures, demonstrations, and book signings—even pop-up dinners with rotating chefs and cooks. What does this market say? The foods, makers, and cultures above and below the border are beautiful and filled with important stories. Next articleGunwhale Ales Opens in Costa Mesa This Weekend!